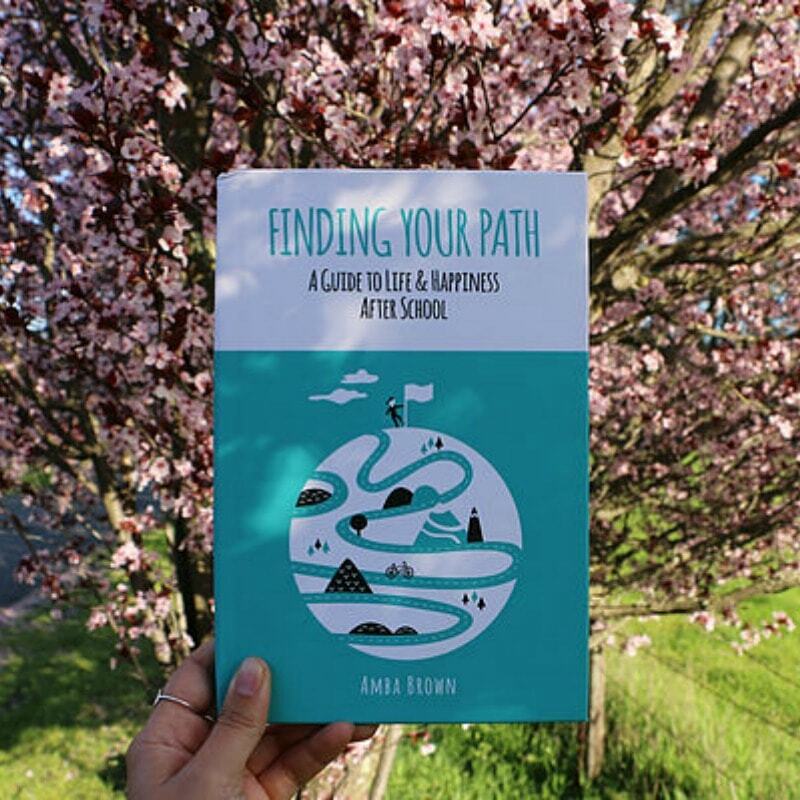 I create books about finding our path in todays world. My goal is to normalise the anxieties through major life transitions and support readers using positive and practical tools. I’ve always loved writing and personal development, however in high school I never knew that this would be my path. I finally understand now how people explain that they fell into something – that somehow a combination of decisions lead you to where you are without any intent at the start to get there. For me, when I finished high school in 2004 I had absolutely no idea what I wanted to do. I remember feeling anxious and confused about not knowing and I was unsure how I’d figure it out. So I came up with the idea that I’d take a gap year and travel and by then I’d work it out. Surely enough I came back a year later with still no epiphany of what I’d do. So I chose to do a broad degree of liberal studies, at Sydney uni – and I choose Sydney uni mostly because I thought it was a nice campus. I ended up really enjoying studying psychology so I continued along that path and did my honours in positive psychology. Since finishing university I have worked in a wide range of jobs related to the field including working as a Private Investigator for psychological injury workplace claims in Sydney, Australia before moving to Singapore where I worked at the Australian High Commission for the Department of Foreign Affairs and Trade. Since the start of 2016 I have been working full time as an author and have spent the year in the United States. While I currently have one book on the shelves, published in 2015, I’m hoping to see a few more launched in 2017! Working as an author full time has been interesting. There are lots of great things about it such as the flexibility, as you’re your own boss and you create your hours – but with this also comes the challenge of ensuring that you manage yourself like a “Real” boss would. I’ve had to learn how to be very self disciplined to ensure that I get things done. I do love writing lists and ticking things off – so that helps. I like to mix up the locations that I write in, some days I’ll go out and work in cafes, other days I’ll lock myself in and write from home and sometimes I’ll meet up and work in a shared space with friends. It really depends what stage of the writing process I’m at and how I’m feeling on that day. The parts that make up writing a book are actually quite different and I enjoy the diversity of the process. From the research stage where I will go out to libraries and meet with people to collect information, to the writing and editing phase which is very much head down, to organising and engaging professionals to create these words into a book. Everyday really looks different. I also believe that working full time as a creator means that it’s important to roster yourself a day off to not think about it at all – this helps build up my productivity for the next day when I can start again fresh. I can create whatever I want really – That’s a liberating thought! My goal has always been to work in the field of psychology and help people, so it feels rewarding that I can put this information out there for people to access at their leisure. My passion isn’t selling, but unfortunately it seems part of any business… Especially if you’re a self published author, it’s your job to promote your work. While it can be frustrating and isn’t my favourite thing, I understand there are parts of all jobs that we don’t love. If I could remove it from what I had to do I would, but for now it’s a critical part of the process, so I’m trying to learn to invest my energy into promoting the book’s message through streams that I enjoy more – like photography which can be used for social media. Oh, I threw so many things out there! At one stage I thought I was going to be an astronaut, another phase when I was really young I wanted to be a poet – but it seemed so far fetched I never pursued it. When applying for uni I enrolled to be a pilot, dentist, accountant, doctor and lawyer. So you can see I have imagined a few different scenarios of how things could have unfolded. In general, I think I was always worried about people liking me. Not for any sound reason – I had a great group of friends and didn’t experience any bullying but I think it stems from me being a massive people pleaser. If I found out someone didn’t like me that would be really heartbreaking for me. I still struggle with this people pleasing curse today – the idea that you’ll do things to make other people happy before yourself because you feel that it makes you happy. Learning to say “No” and to put myself first is what I’m constantly working on. You don’t need to know what you’re going to do when you finish school! Just keep making decisions that are best for you now and continue trying your best and everything will work out. I can’t underestimate the importance of focusing on what you love and enjoy doing and heading in that direction today, not stressing about how it will all work out long term. If you had to have a side project on the weekend what would that be? What’s your favourite thing to do in your spare tine? I love creating ideas – Even if I don’t follow through with all of them. The process itself I find really enjoyable. This year I’ve given myself the challenge to write down ten new ideas everyday, about whatever I feel like thinking about that day. Some of the ideas have come up through giving myself this time have been really fun. More generally, I love walking with friends, yoga, going to the beach and writing. WEAR SUNSCREEN. My mum and nan both told me this but I didn’t listen – now I wish I did. Creating a clear and realistic goal of how much you want to save by what date – works every time. If you want advice on an important issue, it’s great to chat to different people that you trust about it, but at the end of the day make sure you create the space to think it through yourself and always come to your own conclusion that feels right for you. I bought a Marc Jacobs perfume stick that I can take with me when I’m travelling – It’s nice to feel fresh when you’re on the road! Where can people find you on line for more info? You can find me on my website. There is a direct contact form on the site and links to my social media. This entry was posted in A Day in the Life and tagged Adventure, Build a life not just a career, career, Entrepreneur, Finding your path, Girl Did Good - Life after lessons, happiness, Inspirational, learning, life, Life After Lessons, Life after School, Life Experience, lifestyle, Positive Psychology Author, real life, self improvement, Teaching, Travel. Bookmark the permalink.